A fantastic and richly flavoured malt from the bygone era at Benromach before the distillery closed in 1983. The distillery was mothballed for 15 years before being reopened by Gordon and Macphail. This was matured in a combination of refill casks and first fill sherry casks. Types of Barrel used for Aging Refill and first fill Sherry casks. A carefully crafted single malt that is certified organic by the Soil Association of the UK. Each..
A big whisky, not just because it is bottled at a gnarly 100 proof (that's 57% in new money). Thi.. Very much in the old traditional Speyside style. 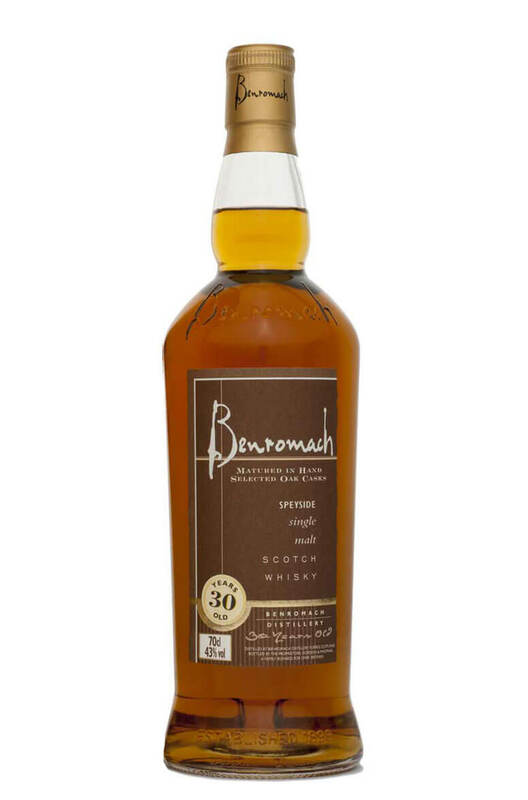 This has a little more smoke than you would expect ..
A rare 35 year old Benromach that comes from the old period before the distillery was mothballed in ..